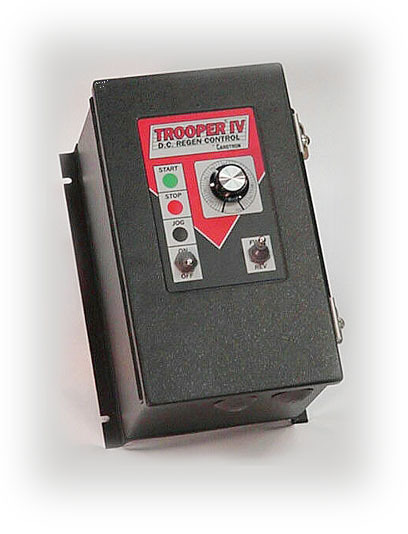 The Carotron Trooper IV Series regenerative industrial motor control provides full range – four quadrant – speed control of shunt wound or permanent magnet D.C. motors from 1/8 to 2 horsepower. Bi-directional current control operation is also possible. • Forward 8` Reverse Accel settings, two ranges: 1-4 or 4-25 Sec.